This week, we are celebrating the anniversary of the birthday of Hugo Gernsback who was born August 16, 1884. Hugo Gernsbacher was born in Luxembourg and immigrated to the United States in 1904. He was fascinated by electricity and invented a dry battery which he patented upon arriving in the United States. He established a radio and electrical supply house called Electro Importing Company and developed a small portable radio transmitter called the Telimco Wireless Telegraph. He went on to patent 80 inventions. Gernsback published a magazine for electrical experimenters called Modern Electronics which was later taken over by Popular Science. To fill up some empty space in the magazine, he decided to write a futuristic story which ran in 12 installments. The story named Ralph 124C 41+ was later published in 1926. It was set in the 27th century and is still available today. He started a number of magazines including the first magazine dedicated exclusively to science fiction called Amazing Stories in 1926. Hugo coined the term scientifiction which later went on to be known as Science Fiction. He unfortunately went bankrupt and lost control of Amazing Stories. He quickly bounced back and went on to publish three more magazines: Air Wonder Stories, Science Wonder Stories and Science Wonder Quarterly. Air Wonder and Science Wonder were merged into one magazine Wonder stories in 1930 and sold it in 1936 to Beacon Publications where it continued to be published for 20 more years. Digital copies of Amazing Stories, Air Wonder, Science Wonder, and Wonder magazines are available to view through the Pulp Magazines Project. 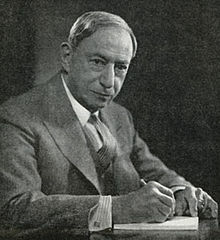 Gernsback is lauded as one of the fathers of science fiction. In 1960 he was given a special Hugo Award as The Father of Magazine Science Fiction. The award were unofficially called the Hugo's until the name was officially changed beginning in 1993. Link to your reviews. In the Your Name field, type in your name and the name of the book in parenthesis. In the Your URL field paste a link to your post. If you don't have a blog, leave a message in the comments about your reads. I actually read a book this week! (Yeah, I know.) Here's to hoping I get it reviewed this week, so I can join the linky next Sunday!